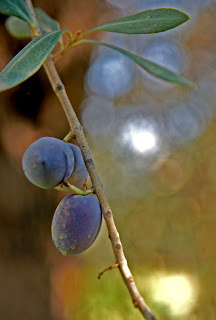 The 2012 Olive Harvest is beginning. Unfortunately for many olive groves the return per hectare will be one of the lowest experienced because of a combination of low yields and tough market conditions. Industry predictions are for the national yield to be down 70% from last season. The smaller olive crop could see prices slightly rise from the level of $2.70-$4.50Lt on the bulk market, however this is not expected to offset the reduction in income from low tonnages. There is also a limit to how high local oil prices can go. 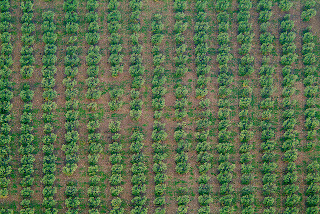 Like many industries the Olive industry is suffering from the high Australian dollar making imported oil products. Sam Freeman has been monitoring groves across the South East and McLaren Vale and he agrees that yields are down, but that it is not all doom and gloom. "After good yields during the 2011 harvest a majority of groves this season are seeing very low crop loads," Sam says. "The better maintained groves are not down by as much (as the 70% reported)." "Biennial bearing of olive trees is common and so most groves are expected to recover for the 2013 harvest." Experience with the wine industry shows that a lightly cropped years could help stabilise the industry. 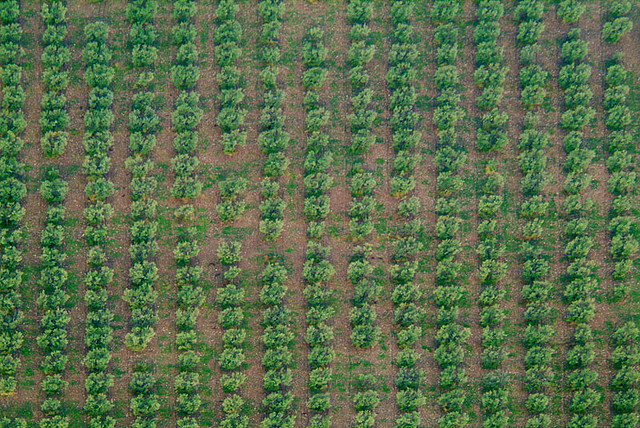 Unsold oil from the 2011 harvest can be blended with 2012 oil to meet market demands (this is an allowable practice under Australian standards). This helps clean out any left over stock, generate cash flow for processors and free up space for the 2013 harvest. In other olive industry news the copper based fungicide, Tri Base Blue is now registered for use. Tri-Base Blue is a liquid copper compound formulation that provides a useful alternative to traditional copper products. The active ingredients in Tri-Base Blue, tri-basic copper sulphate and metallic copper equivalent, protect olive trees against various fungal leaf spots, including peacock spot and anthracnose. Tri-Base Blue is available for use by Australian olive growers under the provisions of the APVMA Permit Number – PER11360. This permit is in force until 31 March 2017 and copies must be obtained before use from the Australian Pesticides and Veterinary Medicines Authority website http://www.apvma.gov.au.